Second obsession? Christmas movies that are playing around the clock on the Lifetime and Hallmark channels. Paul and I have been watching them any time there is nothing else on tv. It’s been going on for about two weeks now, and (so far) we have not gotten sick of them yet. However, we have gotten to the point of, “Oh, we’ve seen that one already” and then check the other channel. 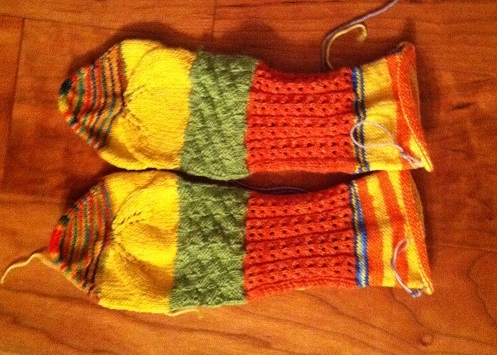 Two more sets of socks coming my way and then I’ll get my finished socks in the mail. I can’t wait! Posted in Uncategorized and tagged christmas movies, lollipop yarn, travelling socks on November 27, 2013 by lizytish.